Join PBS Kids on this epic adventure! Why See PBS Kids Live? Roll up! Roll up! There's a new show in town, courtesy of your favorite TV station! 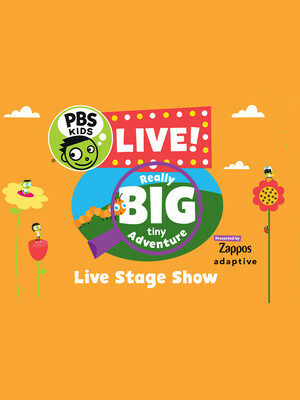 Alongside Zappos Adaptive, PBS Kids brings you a highly interactive, immersive and dazzling live show, perfect for all the family. In Really Big Tiny Adventure, learn all about the tiny creatures that live underfoot and embark on a huge adventure with your favorite PBS Kids stars! Before the show, why not join your favorite PBS characters like Arthur, Nature Cat, Ready Jet Go!, Princess Presto and Super WHY for pictures in the lobby. You can also enjoy an augmented-reality Bug Garden, and a virtual AR playground, making your lobby experience extra special! Dot, Dee and Del are gearing up for a super fun birthday party, but first they have to cross their back yard, sounds easy right? Well that is until they get magically shrunk to the size of a teeny tiny grasshopper! 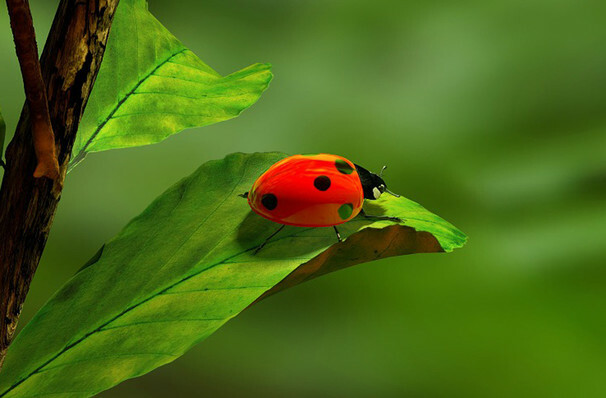 As the trio trek across the expanse that is their garden they meet all sorts of creepy crawlies who teach them what life is like to be one of nature's smallest creatures. Full of music and interactive audience fun, will the pint-sized tots manage to solve all the big, tiny challenges and become full size in time for the party? Seen PBS Kids Live? Loved it? Hated it? Sound good to you? Share this page on social media and let your friends know about PBS Kids Live at The Lyric Theatre - Birmingham. Please note: The term The Lyric Theatre - Birmingham and/or PBS Kids Live as well as all associated graphics, logos, and/or other trademarks, tradenames or copyrights are the property of the The Lyric Theatre - Birmingham and/or PBS Kids Live and are used herein for factual descriptive purposes only. We are in no way associated with or authorized by the The Lyric Theatre - Birmingham and/or PBS Kids Live and neither that entity nor any of its affiliates have licensed or endorsed us to sell tickets, goods and or services in conjunction with their events.